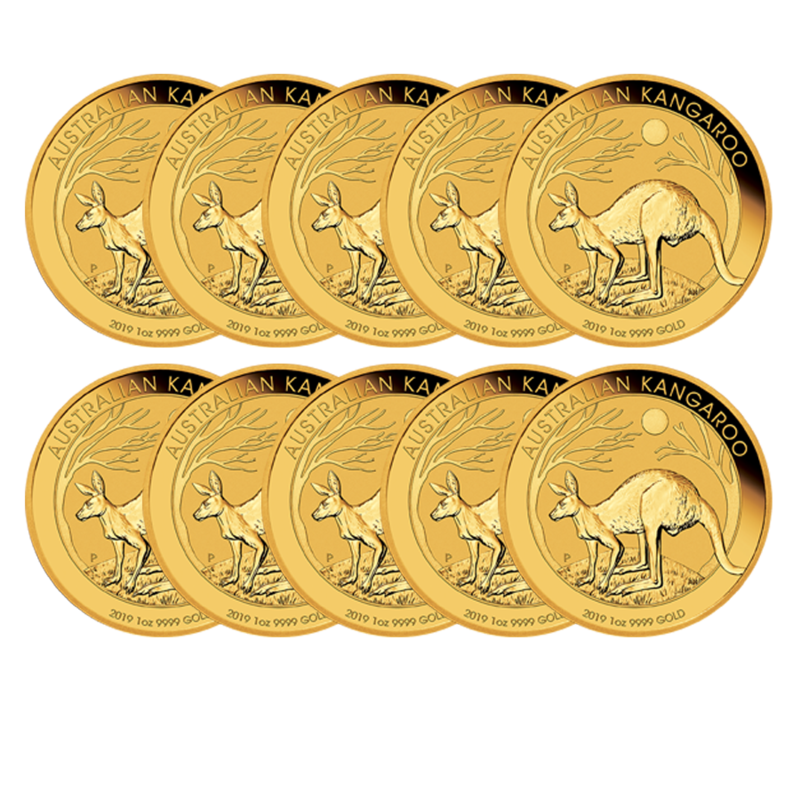 This is a 10 coin bundle of the 2019 Australian Kangaroo 1oz Gold Coin. 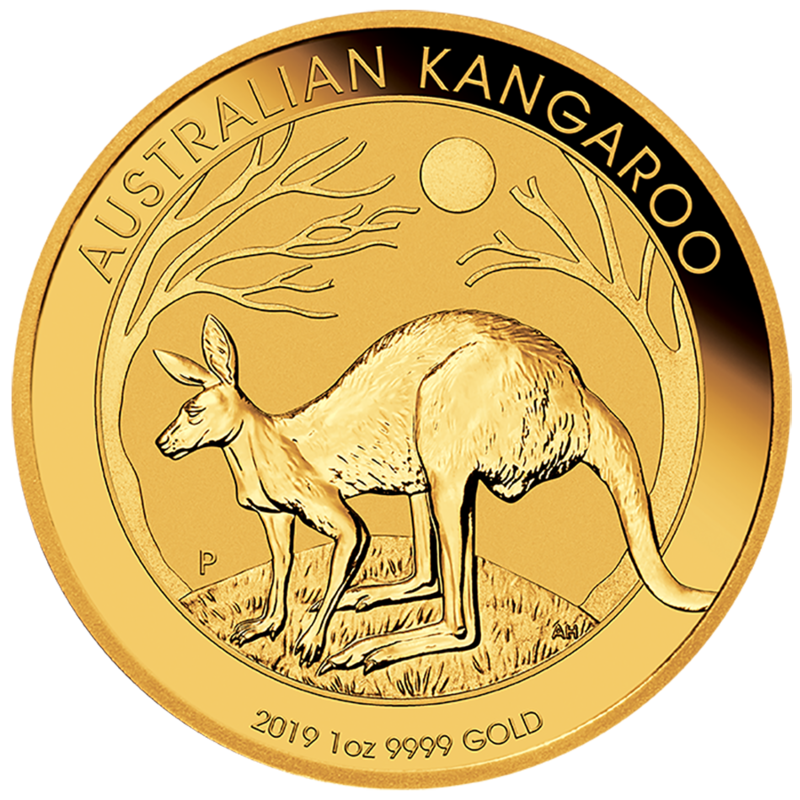 The 2019 Australian Kangaroo 1oz Gold Coin features a kangaroo standing on a mound of grass with a sun and stylised trees in the background. Inscribed upon the reverse of the coin is ‘AUSTRALIAN KANGAROO’, the year-date, weight and fineness. The Perth Mint's 'P' mintmark also features in the design. 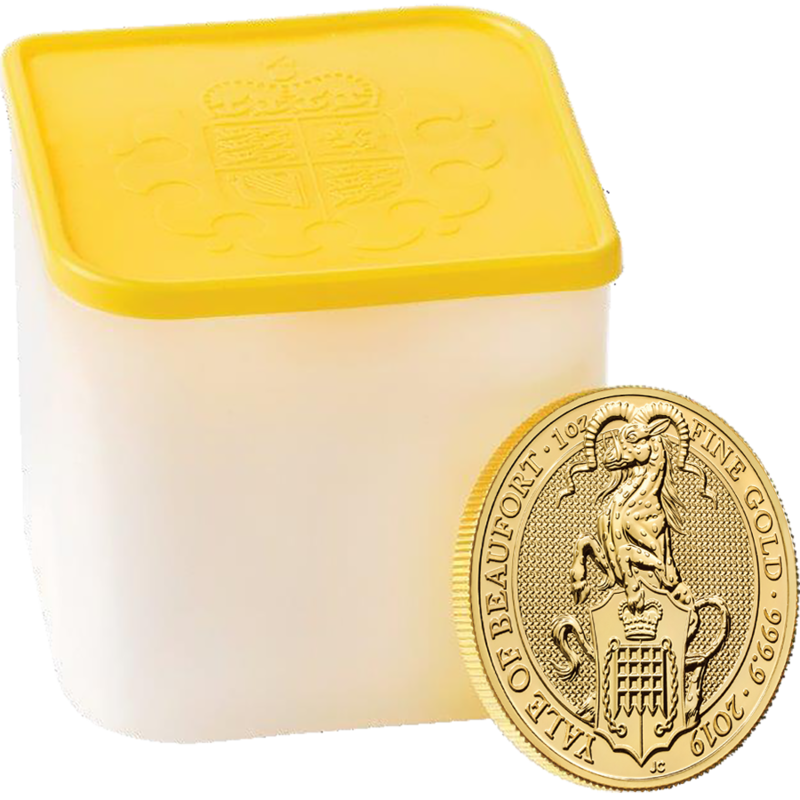 The obverse of the coin bears the new portrait of Her Majesty Queen Elizabeth II by Jody Clark, and the monetary denomination. Dimensions: Diameter: 32.60mm. Thickness: 2.80mm. 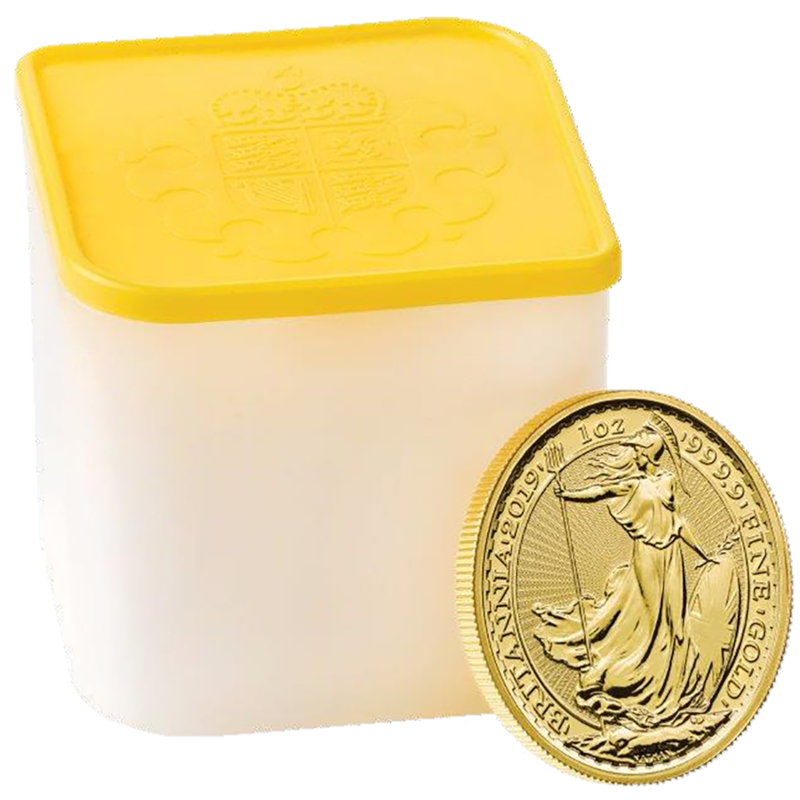 Each coin is supplied in its own plastic capsule. Australia has been producing Gold Nuggets since 1986. The nugget had two unique features, it was produced with a 'two-tone' frosted effect and came encapsulated in a hard plastic case. These features gave the Australian Nugget a unique marketing niche. In 1989 the Nugget design changed to a Kangaroo. The design of the Australian Kangaroo tends to change from year to year, but the Red Kangaroo design remains the same for each year. 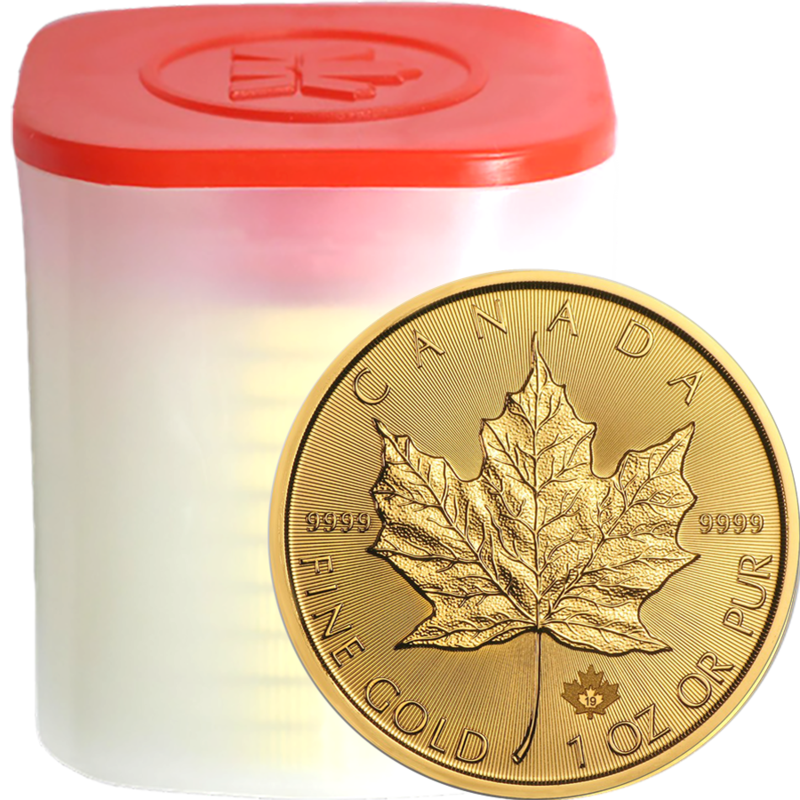 In October 2011, the Perth Mint created a one tonne gold coin, breaking the record for the biggest and most valuable gold coin, the record was previously held by The Royal Canadian Mint. 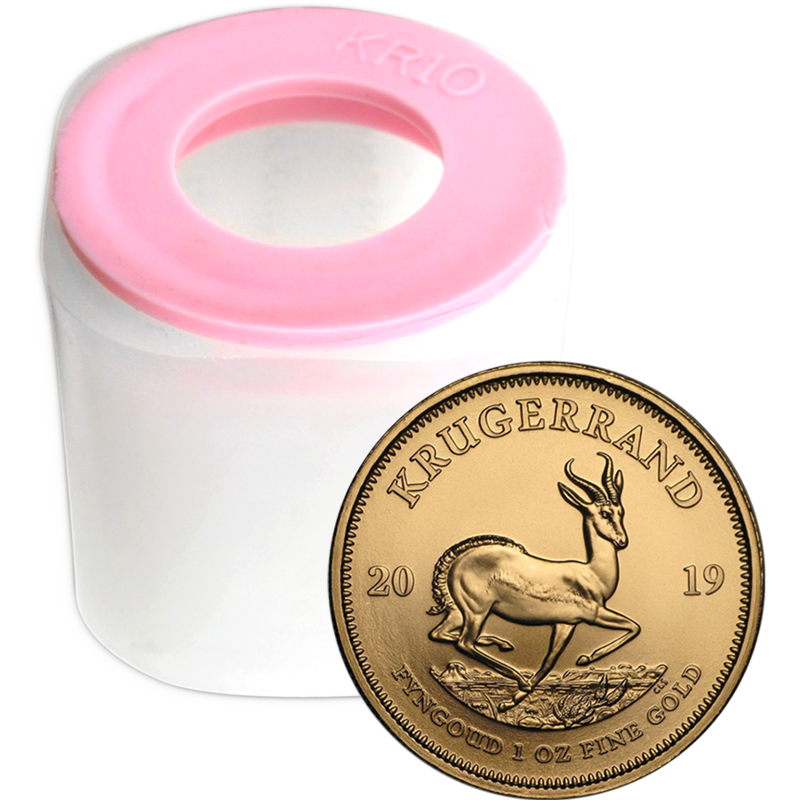 The coin features a red kangaroo on the front of the coin and a portrait of Queen Elizabeth II on the reverse.